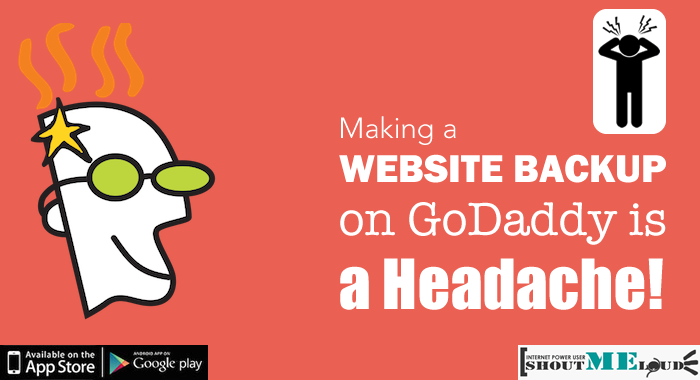 Making a Website Backup on GoDaddy is a Headache! When it comes to WordPress webhosting, we have many options. We often stick to the one we’ve heard the most about, or those we have seen used by our favorite blogs. 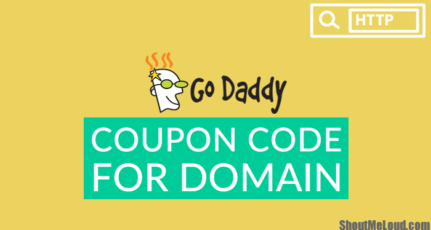 GoDaddy, one of the most popular domain registrars and also a hosting company, has become very popular as a result of its branding and advertising. 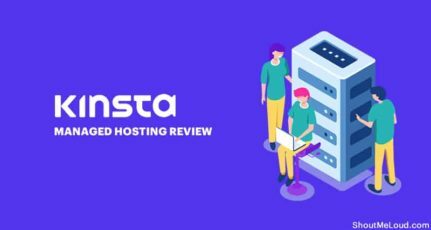 No doubt GoDaddy always poses a good offer when it comes to buying a domain, but for webhosting I have often found it to offer a quality level that is below average. I mostly deal with WordPress websites, and I evaluate a hosting service from that perspective. If the specific webhosting is not great for hosting WordPress sites, I never recommend or even mention it. Recently one of my Indian clients whose site was hosted on Godaddy’s hosting service, contacted me to recommend a reliable WordPress host. Ultimately he purchased Bluehost’s hosting service. Since Bluehost does not offer free website migration, (they charge $99), I decided to help my client by moving his WordPress blog from GoDaddy to Bluehost. My client was facing issues of a show WordPress site, and his traffic was not more than 3K Pv daily. A reliable WordPress hosting company like Bluehost or Hostgator can easily accommodate up to 20K Pv/daily with a well-optimized WordPress blog, based on my personal experience. First of all, I have always found GoDaddy’s cPanel and dashboard to be excessively complicated. I’m so used to using standard cPanel (offered by most of the hosting companies), that GoDaddy’s panel always seems complicated. 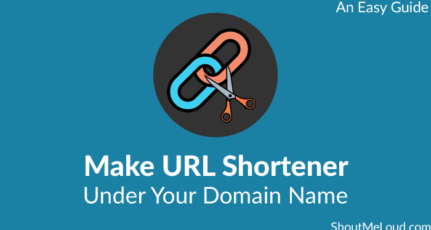 Even when buying a domain, there are tons of additional options, which is more irritating than helpful. Of course, this is only my personal opinion, but I have seen custom panel examples using DreamHost, and they have done it elegantly and in such a way that customers are not confused by the process. We have established that GoDaddy’s hosting servers are not that great for WordPress blogs. In addition, most of the time people who are on GoDaddy’s servers end up paying more for VPS or other high-end options on GoDaddy, without knowing that they can get better results for less money on a server that is optimized for WordPress blogs. See: In-budget quality hosting companies for WordPress. For the purposes of today’s blog post, I was trying to migrate my client’s WordPress blog from GoDaddy to Bluehost following my previously published tutorial. Part of the process is making a backup of the WordPress wp-content folder. 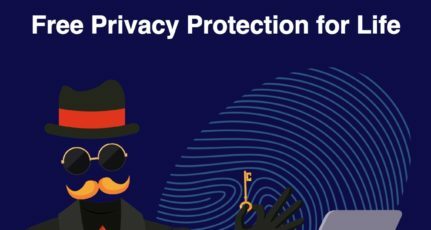 You can’t create a Zip or Tar archive of files or folders larger than 20 mb with GoDaddy’s file manager tool or using any 3rd party FTP software. If you try to download wp-content folders directly, timeout and connection errors are common issues. It took me 4 retries and 5 hours to download a 70mb wp-content folder from GoDaddy, and that was after I took a complete different route. The download speed of the file never exceeded 35-40Kbps. I’m using a 4 mbps broadband connection, and 40 kbps downloading speed is minimal for that kind of broadband connection. I tried a few plugins that could help in taking a WordPress folder backup, but none of them seemed to worked due to various restrictions on the hosting side. I also tried a few plugins which could put the wp-content folder as a backup directly to my Dropbox account, but no such luck. After trying numerous WordPress plugins to make backups of my client’s WordPress blog, I ended up trying WP time-machine, which also showed me errors (see screenshot above) while trying to make a backup to my dropbox account. Just as I was about to ask Bluehost to do the paid migration, I noticed WP time-machine plugin made a backup of the Wp-content folder at the root of my GoDaddy server. The only problem was, it could not export the backup directly to my Dropbox account. Fortunately, a single .zip file helped me to download the wp-content folder without much issue, (other than the slow speed and waste of precious time). Using SSH: I’m not a big fan of using shell command, but if you are comfortable using them, you can use this resource to run the command and transfer files from GoDaddy to your new hosting using SSH. You need to refer to this guide to enable SSH on your GoDaddy hosting service. You can also try finding some backup scripts that might be helpful in taking website backups from GoDaddy. If you are using an FTP client like FileZilla, you can consider increasing the retry and timeout number, and that should also be helpful. 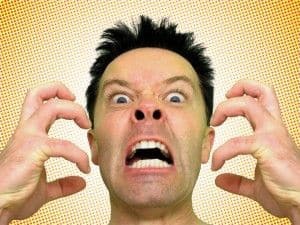 If you are a new blogger or webmaster and are thinking of buying hosting for your new WordPress blog from GoDaddy, I would recommend you to STAY AWAY! Buy something which is tried and tested, and works seamlessly with WordPress. You can choose any of these hosting services for your WordPress blog. If you are an existing customer of GoDaddy and you are hosting WordPress sites with them, I would love to hear your feedback and opinion based on your experience. Also, let me know which hosting company you are using to host your WordPress blog. Feel free to use our comments section below. As far as I know, the economic plan of Godaddy hosting does not have cpanel only. I think you can easily do it by using WordPress Plugin BackWPUp. I am a godaddy user, although i wont say its Control panel is as good as cpanel but cpanel comes with its own risk subsets. I for one prefer to just have space and then i manage how to do other things. FTP using filezilla or a simple ssh based file copy works seemlessly on a linux account. I have been hosted at go daddy now close to 5 years. Never tried others in terms of speed but i liked what godaddy offered me. I use Delux linux hosting. If your website is not having any issue on current hosting, stick to them as long as you could. Your page speed looks good…and you should stick to them as long as you don’t face any issue. Currently i am using godaddy and hosting wordpress. Sometime i am also facing the some prolblems that you mentioned above. If it’s happening at negligible rate..You can ignore it and stick to them..But if problem happens all the time, it’s sign of making a shift to something better.. Check error.log for errors, and fix them….. I currently have 5 blogs hosted on GoDaddy, Its really a nightmare for me eespecially taking db backup and creating a backup of Wp folder. I’m currently using Godaddy ultimate web hosting, as you said sometimes Am facing Internal server error. But downloading wp-content via Filezilla is good, the speed is 420 KB/s. I couldn’t agree less…. I had the similar experience with them when buying domain.. Always find it waste of time… The only great thing about them is those lucrative $1.99 domain…. I have 2 websites in godaddy, the first one for 3 years and second one some months, i´ve never had any problems with their service, but i heard some of my friends having really bad time with them. 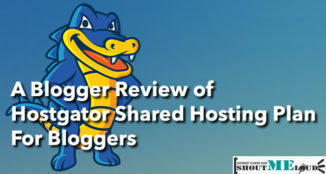 When one of my friends needed to change the hosting service for Hostgator it was terrible to download the data using filezilla, instead of that i used the Duplicator plugin for wordpress and in less than 2 hours i could transfer all the website and the database to the new hosting. Obviously it wasn´t perfect because we needed to fix some problems with te internal and external linking, but after that, everything was great. I am hosting my website on GoDaddy From past 4 month. In the beginning it was working fine but due to some reason I have created a new database for it and imported all the post. Since then it is showing Connection to the server is reset error when I am trying to post or inserting an image. I am not able to fix this error. I have also consulted with support team but they didn’t help at all. Can you suggest me what to do? Using a Cpanel based hosting, you can backup an entire account with a single click and download in a compressed file, saving a lot of space. Unfortunately this is not possible with Godaddy and thats why I never host any website on Godaddy. Backup is a very important part of websites. people who are facing downtime, should ask the godaddy guys to transfer their site on a server with less load, i have been using godaddy for like 2 years now on my wordpress blog, but other than the issues that everybody faces on any standard host, i didnt face anything weird. harsh, i am from india i want to purchase domain from godaddy.com. when i use my debit card of pnb banks they said, it is invalid. i also try entropay virtual credit card but this will also not help. also this debit card is not applicable in paypal so i cannot use paypal to send money but only i can receive money from paypal. 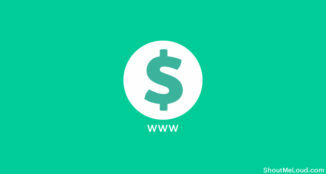 is there any other way for indian users to pay online especially for godaddy. Hi, I am a developer and I’m from India. I actually found your website by searching for ways to backup my client’s hosting files. When i found out that my client has already bought hosting in Godaddy, i was devastated. I had a bad experience with them. 2)Their support is slow and not really helpful. I called them for about 3 hours for a problem and they couldn’t solve it. Not to mention three support executives at that. Now i have to backup the entire system and i’m stuck. I had used Godaddy VPS server for event micro niche blog for one month. It take me 2 day to understand, who to install cpanel on the server. it is so confusing, i can’t understand where to add the domain and where to create the space. even thier is no tutorial to do the job. finally after watching some video. i was able to make the site link with the hosting. from my view godaddy is only good for domain registring not for hosting. I have had GoDaddy hosting three of my WP websites for five years, the majority of which have been on Deluxe Linux hosting – without cPanel. I have not upgraded to cPanel. So far, my sites have no issues. However, I have recently set up a couple customers with multiple sites. This required they be on Deluxe hosting… and apparently it only comes with cPanel now. All of the sites currently moved to GoDaddy’s Deluxe Hosting with cPanel have serious issues: slow to load, can’t access WP backend, etc. Maybe it’s a change in the bandwidth, storage, RAM or some other factor that is the issue rather than cPanel; I don’t know. Customer Service hold time this morning was 15 minutes! Their chat room is “currently unavailable due to high volume”. One client got through about ten days ago and they gave her a song and dance about the issue, and then an upcharge! A few days later, she was back on the phone with them, complaining about the same issue. This time she got someone a bit more intelligent who admitted it was a GoDaddy error. She got her money back, site fixed -for now. But I do know I’m not changing my sites to GoDaddy’s cPanel, and I am currently looking for other hosting options for my GoDaddy-hosted clients. Just from what I’ve been reading about it today, I suspect I won’t be far behind them in leaving GoDaddy. I’m facing Number of issues with Godaddy. Don’t go for that Service. I almost lost $300 because of downtime in Important times. Finally after suffering 2 years I suggest no to go for Godaddy. I thought I was alone in this world figting Big Dadda with their ruptured customer and technical support staff. Last July I had over 1000 razor targeted keywords pointing to my website from Google bringing in a decent amount of traffic using a special SEO plugin that generates static html pages to viewers and dynamic xml pages to search engines based on the most popular tags generated from my blog. End of story my site crashed because GODADDY was blocking my plugin from running as it was causing conflicts on their servers. 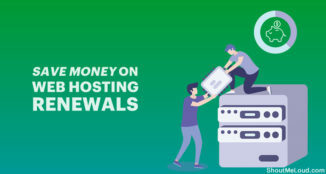 I upgrade hosting package and things got worse my site keeps down sometimes for a whole day to the point GOOGLE started threatening me to ban my site for non compliance to their adwords program which i was receing in excess of 1000 converted clicked per day. Because of the poor customer service and bad advice from their technical support I lost my site…vooomph….vanished….gone!!! All i did was follow the advice of their technical team which caused to be deleted instead of being restored. Following dozens of complaints and support tickets and telephone calls going unanswered (they obvious had caller ID as my calls were constantly ignored) I received no support, no sincere apology, no refund but after calling from another number they answered and had the alacrity to suggest to me that I fork over $250.00 to have my website reinstalled as it was still within some 30 day timeline. I flatly refused to be duped into paying a single dollar over to these guys as what transpired with my experience usinf their hosting was that they deliberately refused to offer any genuine support and wanted me to pay over more for their crappy customer support. So I gave up the fight with this so called “CORPORATE GOLIATH” as I ran out of stones to continue fighting for righteousness. I simply closed my hosting accounts and move my battles elsewhere. I am also getting the same issue with godaddy. I am not able to edit any post nor able to add new post. While login by google crome, We manage hosting not able to open. I am not getting any solution from godaddy. If you could provide your service to transfer my hosting to another hosting company with the corrent domain name.